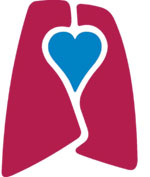 Overview of policy: Section 5.1 of the Health Professions Act identifies that the Newfoundland and Labrador College of Respiratory Therapy (NLCRT) approve the program of study in respiratory therapy and registration exam for applicants seeking registration in the province of Newfoundland and Labrador. Respiratory therapists seeking registration with the Newfoundland and Labrador Council of Health Professionals (NLCHP) and membership to the College (NLCRT) under the classification of general or non-practicing shall have successfully completed a course of study from a Respiratory Therapy Program accredited by the Council on Accreditation for Respiratory Therapy Education (CoARTE) and successfully challenged the Canadian Society of Respiratory Therapy (CSRT) national certification exam administered by the Canadian Board of Respiratory Care (CBRC) or hold a non-restricted license to practice respiratory therapy in a regulated Canadian jurisdiction. b) Successfully challenged the provincial registration exam and obtained a non-restricted license in a regulated Canadian province.